Wisconsin residents, who are considering bankruptcy, must first decide which chapter bankruptcy they qualify for. Wisconsin residents, who are considering bankruptcy, must first decide which chapter bankruptcy they qualify for. 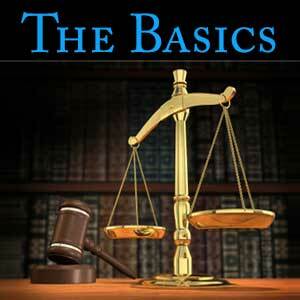 There are two types of bankruptcy that are available to most debtors: Chapter 7 and Chapter 13. One is a liquidation of some or all of the debtors' assets, and the other type is a debt repayment plan. The Chapter 7 bankruptcy is a liquidation of the property to pay the outstanding debts. Not everyone will qualify for this type of bankruptcy. They must first take the "means" test and pass it. 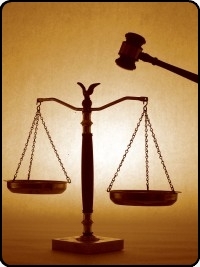 It is advisable that the debtors consult with bankruptcy attorneys, such as those at the Bankruptcy Law Center. First, the debtors' total income is compared with other median incomes in Wisconsin for a family of the same size. If the debtors' income is lower, they will be allowed to file for Chapter 7. If the debtors' income is higher than the median, they will need to take the next portion of the means test. Certain expenses will be subtracted from the debtors' income. The remainder is called "disposable" income. If the debtors' disposable income is less than $100 per month, they will be permitted to file a Chapter 7 bankruptcy. If the debtors' projected disposable income will be over a total of $10,000 over the following five years, they will be required to file for Chapter 13 bankruptcy. For debtors with disposable income between $6,000 and $10,000, it is then determined whether or not their disposable income is more than 25 percent of their unsecured, non-priority (or lesser important) debts. If so, they will be required to file for a Chapter 13. If not, they will probably be allowed to file for a Chapter 7 bankruptcy. A Chapter 7 allows debtors to wipe out the majority of their debts. Certain exemptions are allowed for clothing, furniture and other personal property. There are some instances when the debtors' home is also exempted. However, these are rare. A Chapter 13 allows the debtors' to keep their personal property and usually even their home. In this plan, the debtors pay a monthly payment to the bankruptcy trustee. The trustee, in turn, makes a (previously negotiated) payment to each of the creditors. The term of this repayment plan or "reorganization" is from three to five years, at which time the debts are considered paid in full and the debtors' are considered free and clear of debt.